Like a lot of other property improvements, there are plenty of videos and online instructions that will lead you to believe that you can do your own security system installation. Whether you are installing residential security cameras and lighting or commercial security in Back Bay, it pays to hire professional electrician services. Sure, it will cost you more to bring in a contractor, but you will get better results and maximize the return on your investment. There are pros and cons to both sides of the debate, so ultimately you will need to decide. However, some alarm systems require professional, extensive electrical knowledge and permits, so it is essential to know which ones may need more intricate wiring and services. What Systems Require Professional Installation? The types of alarms that should be installed by a professional include the configuration of both audible and silent alarm systems. Systems that report to a security service may be installed by the provider, while simple alert options might be more suited to DIY. The primary reason why many security lighting systems require professional electrician services for proper security system installation is the wiring. If automation is required, such as setting up lighting, a professional will also be needed. Back Bay electrical services should be experienced in security programming so that all systems will work together effectively. There is much more than simple hardware and wiring to consider, as many systems also include monitoring services and can contact the police directly if the alarm is triggered. Permits may also be required, depending on the type of system you choose and the local jurisdiction. Local permits are often required for systems that feature remote monitoring and emergency response features. If you fail to get the proper permits or install an alarm that is too loud or violates other ordinances, you could be subject to fines. There are many reasons why residential and commercial security in Back Bay is important. Property owners can increase the value of their business or home when they employ a quality security system installation. They may also be eligible for discounts on insurance policies, depending on the system that they choose. Proper installation of Back Bay electrical services is important as well. If the system is not installed correctly, the value and potential discounts could be impacted. Advising potential buyers and insurance agents about the quality of the system and the experience of the installer can make a big difference. Home automation services can also increase the perceived value of the property, providing increased incentives for prospective buyers who are looking for a safe and secure home. Increasing security around the property with top-rated locks on all doors and windows, along with reliable exterior lighting, can also increase the value. Some DIY installations could potentially detract from the value. 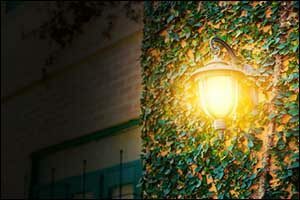 It is important to have your security lighting installation performed by a reputable electrician who has experience working with the equipment. One of the best parts about hiring professional Back Bay electrical services to take care of a security system installation is that you don’t have to do any of the work. You also benefit from the experience that the installer has with the equipment. The way that a system is installed and the equipment is set up can make a big difference in the way that it performs. You won’t need to worry if you did something wrong or spend a lot of time reading instructions from a booklet. You just need to make sure that you are home during the installation so you can set up the access codes with the installer. Professional electrician services guarantee their work and help you to maximize the return on your investment. While it will cost you some money upfront to have everything installed, it will pay off in the quality of the installation and the peace of mind that comes with knowing everything was done right. If anything were to go wrong, you could contact the service for troubleshooting of your residential or commercial security in Back Bay. If you are interested in learning about our professional electrician services or if you require security lighting or a security system installation in the Greater Boston area, contact our team at 1-857-829-0516. Our team of licensed, experienced, and insured electricians can help you with a variety of Back Bay electrical services. Give us a call or visit our website for more information about all of the top quality services available through M Foley Electric.